Donald ‘Ace’ Khuse predicts that Chiefs will win the day, but Andries Sebola is of the opinion it will be a draw with lots of goals. PART I – The day a principal, a massive Pirates fan, helped rivals sign Khuse under Chiefs’ noses. A young Donald “Ace” Khuse was looking forward to playing for Kaizer Chiefs when, somehow, their rivals Orlando Pirates managed to steal him from right under Amakhosi’s noses. It was in 1983 and Khuse was 20 and still in high school when he got news that his favourite Amakhosi would be signing him. “They had an important derby match, (the Sales House Champ of Champs) against Pirates and said their officials would come on the following Monday to close the deal,” he said. That was a big mistake by Chiefs. On the Friday, a day before the derby, the Buccaneers went to AB Phokompe Secondary in Randfontein where Khuse was a student to get his signature. “On the Friday, as I was on a school trip to Odendaalrus when Pirates came… I tried to run away from them. But our principal loved Pirates so much, he managed to convince me to join Pirates and I signed with them,” said Khuse this week. The young lad had to run away again on the Monday when Chiefs officials came for him as he had already committed himself to the Buccaneers. When the news that he had signed for the Buccaneers eventually spread, those close to him who knew that he was a Chiefs supporter through and through made it clear he would be a failure at Pirates because his heart would not be there. That made him work extra hard to crack it at Orlando Stadium. He waited 10 months before he could play in the famed Soweto Derby and said he can still feel the emotions he went through back then. He had to perform to prove the doubters wrong. “We were going to play Chiefs at Orlando. Luckily for me, I scored on the day,” he said with a faint smile. “I loved Chiefs at the time, but because I played for Pirates I told myself that I had to prove some people wrong. They had made clear their thoughts that I would not make it at Pirates. “I was supposed to play for Chiefs and those who wanted me there were saying I would not succeed at Pirates. I had so much to prove … I wanted to show them that I can play the game and no one can tell me that if I joined a certain team I would not make it. “I did my best. I worked hard and I managed to score. I was a very, very happy man,” said the now 55-year-old Khuse, who works at Chiefs as a development coach. 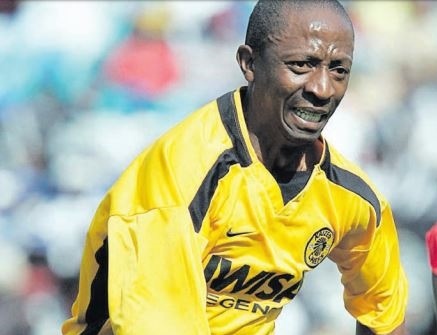 Khuse went on to play for Kaizer Chiefs, joining Amakhosi in 1989 before moving to club football in Turkey in 1993. Going into this afternoon’s Soweto Derby, Khuse believes Amakhosi are better structured this time around to end Pirates dominance. Chiefs have not beaten Pirates in five years. “Pirates have been doing well and play good football. But I think this time around we are better prepared to face them. I think you can see it on the field that the boys are ready and want to go out there and perform,” he said. PART II – ‘Supersub’ Sebola holds a special place in Pirates faithful’s hearts all these years later. Andries Sebola had the nicknames “Local is Lekker” and “Supersub” in his time at Orlando Pirates, the former presumably, well, because he was both local and lekker, and the other because of his ability to come off the Buccaneers bench and grab vital goals. His most famous goal as a substitute was undoubtedly when he came on to net a last-minute winner for the Buccaneers in the BobSave SuperBowl (now the Nedbank Cup) final against Jomo Cosmos in 1996. 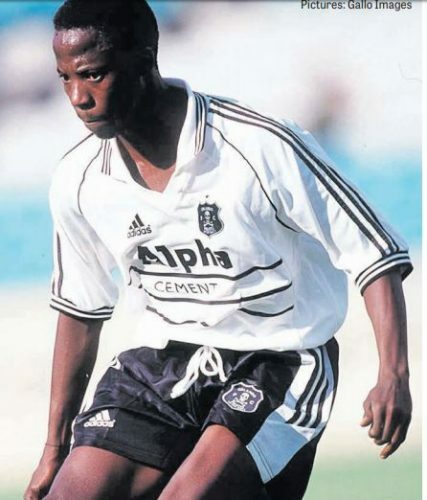 Sebola was also the first South African to score in the Vodacom Challenge, against Asec Mimosas in 1999, and was involved in his fair share of Soweto derbies too. As an ex-striker, his musings on who should play in goal today, as Kaizer Chiefs play Pirates in the Absa Premiership, are certainly worth a listen to. The former goal-poacher, who also played for Real Rovers, Ria Stars, AmaZulu and Dynamos in his time, points out that while many people are talking about the goalkeeping crisis at Chiefs, they forget that Pirates are also in the same situation because they don’t have a first-choice keeper. “I think it will be better for Chiefs to go with Daniel Akpeyi on this one, he is very experienced and he is also an international goalkeeper for Nigeria. It will be very dangerous for them to play Virgil Vries because his confidence is very low and that might cost them,” he said. The former Bucs striker says even though it seems like the Buccaneers have an upper hand in the derby, having won their last three Soweto derby fixtures, Amakhosi are ready to change their fortunes against their rivals and they are keen to give their fans something to smile about. “It will be very interesting because there are a couple of changes from the sides, especially Chiefs with the new coach [Ernst Middendorp]. “They have also been playing well and to think that they have lost three times already to Pirates, they must be eager for revenge. “I am certain that Chiefs have prepared well and they will be ready for a fight because they need to win in order to keep up with the teams at the top of the league. Pirates are also looking to close the gap between them, Mamelodi Sundowns and Bidvest Wits. So, looking at what’s at stake for these teams, it certainly shows you that they will both give their all and at the same time entertain fans.